Draft: 1995, Toronto Blue Jays, 1st rd. December 19, 2013 RHP Roy Halladay retired. October 31, 2013 RHP Roy Halladay elected free agency. August 25, 2013 Philadelphia Phillies activated RHP Roy Halladay from the 60-day disabled list. August 20, 2013 Philadelphia Phillies sent RHP Roy Halladay on a rehab assignment to Lakewood BlueClaws. August 15, 2013 Roy Halladay roster status changed by GCL Phillies. August 15, 2013 Philadelphia Phillies sent RHP Roy Halladay on a rehab assignment to GCL Phillies. May 24, 2013 Philadelphia Phillies transferred RHP Roy Halladay from the 15-day disabled list to the 60-day disabled list. May 2013 right shoulder surgery. May 6, 2013 Philadelphia Phillies placed RHP Roy Halladay on the 15-day disabled list. Right shoulder discomfort. July 17, 2012 Philadelphia Phillies activated RHP Roy Halladay from the 15-day disabled list. July 12, 2012 sent RHP Roy Halladay on a rehab assignment to Clearwater Threshers. May 29, 2012 Philadelphia Phillies placed RHP Roy Halladay on the 15-day disabled list retroactive to May 28, 2012. Right back strain. December 16, 2009 Lakewood BlueClaws Traded C Travis d'Arnaud to Lansing Lugnuts; Toronto Blue Jays Traded RHP Roy Halladay to Philadelphia Phillies and Reading Phillies Traded RHP Kyle Drabek and Michael Taylor to New Hampshire Fisher Cats. 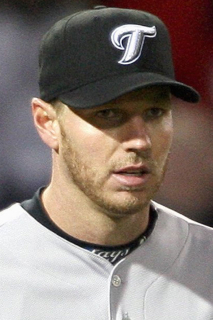 June 29, 2009 Roy Halladay roster status changed by Toronto Blue Jays. June 18, 2009 Toronto Blue Jays placed RHP Roy Halladay on the 15-day disabled list retroactive to June 13, 2009. Mild groin strain.